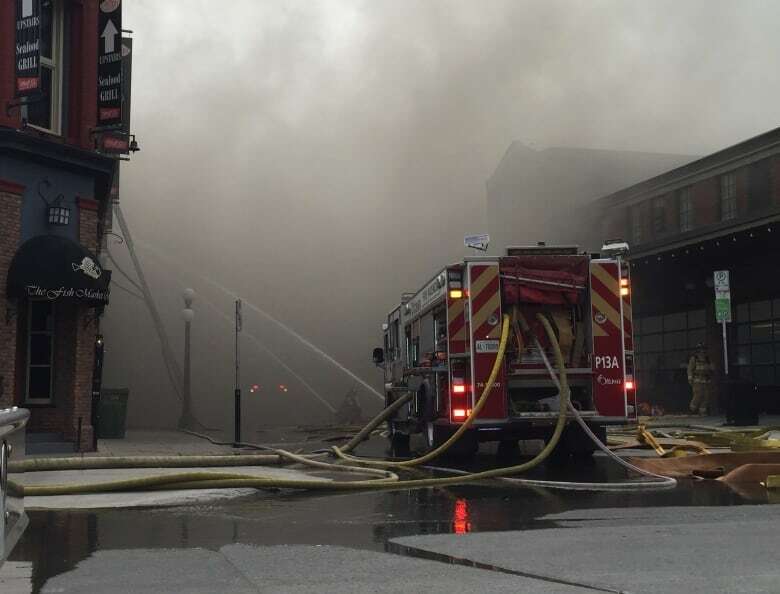 Fire crews in Ottawa have a major blaze in the city’s historic ByWard Market area under control. Flames were first reported around 11:30 a.m. ET on the roof of Vittoria Trattoria, a restaurant in a century-old building at 35 William St., before spreading to the buildings on either side. 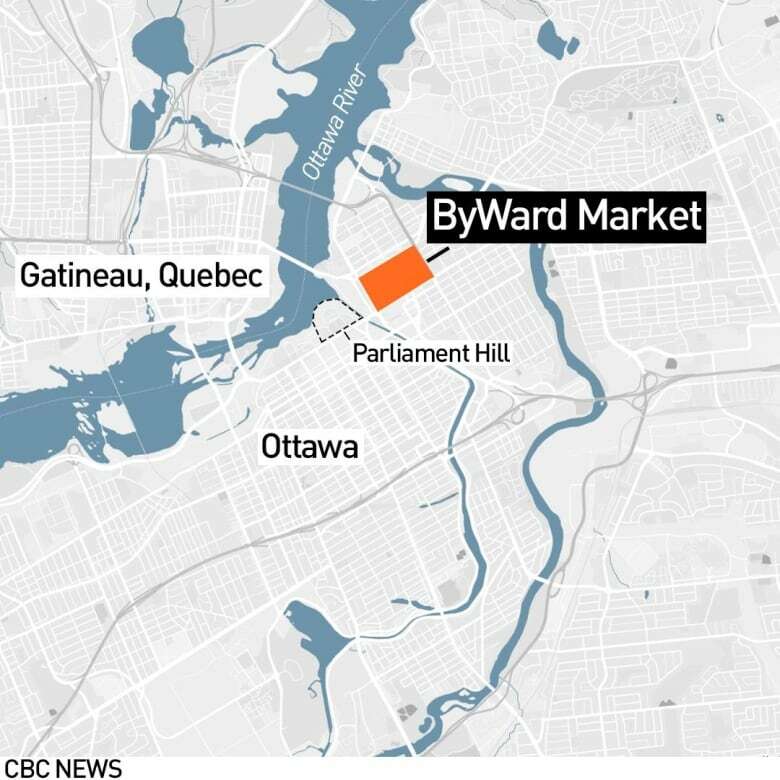 The ByWard Market sits just east of such landmarks as the Château Laurier and Parliament Hill, and is a popular bar and restaurant district. By 11:50 a.m., firefighters were being called off the roof and out of the building due to “rapidly deteriorating conditions,” according to fire department photographer Scott Stilborn. The roof of the building later collapsed, fire chief Kim Ayotte said during an update near the scene around 2:30 p.m.
At its peak, the fire reached four alarms, involving about 40 fire trucks and as many as 150 firefighters. “We made good progress, and I don’t think the fire’s going to spread beyond where it is right now,” Ayotte said. There were no injuries, Ayotte confirmed. He said the fire spread to neighbouring buildings along the roof line, causing significant damage to as many as four structures. Ayotte said fire crews used a large volume of water to put a “quick stop” to the blaze. While the city couldn’t confirm precisely when 35 William St. was built, it said the building dates back to at least 1872. Ayotte said it’s too early to say whether the damaged buildings might be saved, or will have to be torn down. The Ontario Fire Marshal will be involved in the investigation, Ayotte said.